Emad Mishko Tamo looks excitedly at his bright-green mountain bike and talks about how he's looking forward to summer cycling adventures with other Yazidi refugee children in his community. For the 14-year-old boy, the bicycle stands for freedom, something that only a few years ago was snatched away from him and his family when they were taken by Iraqi militants and held captive for three years. 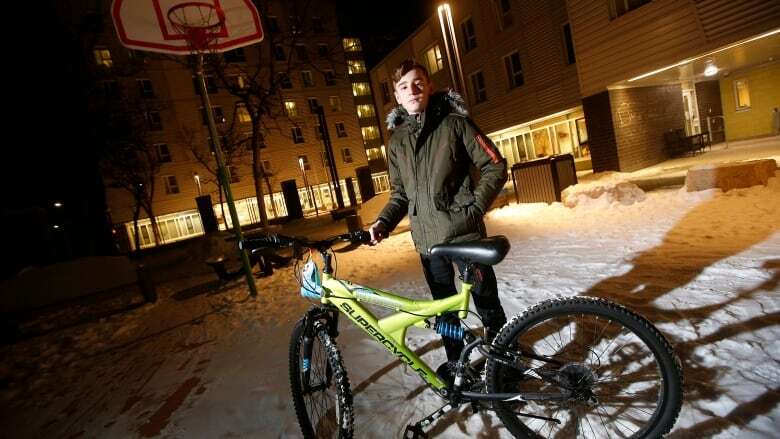 Now, he's behind a movement to bring new bicycles to all Yazidi refugee children in Winnipeg. "I saw so many kids they suffered when they were captured by ISIS. There were so many kids they were crying. They were dead. We saw a lot of things," Emad said through translator Khalil Hesso, president of the Yazidi Association of Manitoba. "Since that I promised to myself any kids I will see I will help." Emad lived happily with his family in an Iraqi village until the summer of 2014 when it was attacked by Islamic State militants. Emad was separated from his mother, Nofa Mihlo Zaghla, as thousands of members of the Kurdish-minority Yazidis were displaced. His mother was held captive for two years but, during an attack on the compound, she was eventually able to escape with four of her children. She made her way to Canada and settled in Winnipeg. She thought her young son was dead. 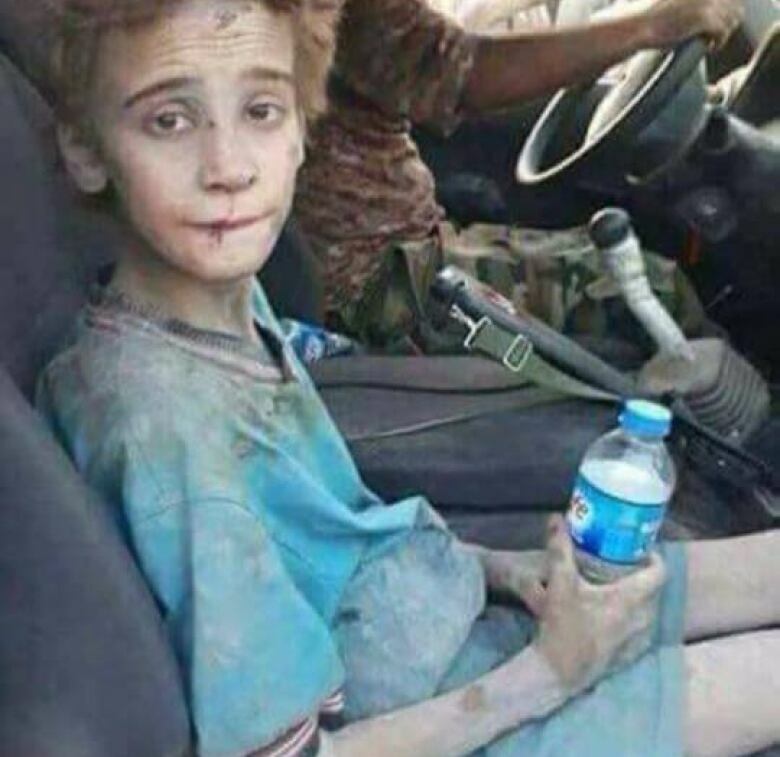 But after some Yazidis were freed in Mosul in 2017, a photo emerged online of a young boy, covered in dust, sitting in the front seat of a vehicle. Action was quickly taken to reunite the teenager with his surviving family in Winnipeg. When he arrived at his new home, in a new country, a bicycle was waiting for him. "Emad was coming from three years of being held hostage. He didn't have anything like a bicycle or basketball or soccer ball," Steve Maman, founder of the Liberation of Christian and Yazidi Children of Iraq (CYCI), said in an interview from Montreal. He was the one who donated Emad's bike. "To him a bicycle was something he didn't expect to ever own, living in Kurdistan as a child ... I could imagine to a child like that a bicycle would mean something very important — a dream." Emad and his family worked hard to make a life and find happiness in Winnipeg, but there were still struggles and worries in Iraq. Emad's uncle, Hadji Tamo Rafo Zaghler, points to a wall in their apartment where the faces of 12 family members hang on a poster. They include Emad's father who Zaghler says was found in a mass grave. They don't know what happened to most of the others. When Maman was catching up with Emad in a phone call last summer he learned the bicycle had been stolen. Maman knew how much it meant to the teenage refugee, so he offered to buy him another one. Emad insisted he'd only want another one if they could find a way to get all the Yazidi refugee children in Winnipeg bikes. "He wanted to ... help victims of genocide because he's thinking of other children who have nothing," Maman said. "It's impressive. I wanted to be able to fulfil his will of him believing in himself." At first it seemed as if it might be a difficult feat to pull off, Maman said, but soon things started to fall into place. It was just happenstance that he would connect with Bryan Phillips, a car enthusiast from Terre Haute, Ind., who purchased engine parts from Maman to fix up an old — but nice — Bentley. While the two men were discussing cars, the goal to get bicycles to refugee children came up. Phillips said he didn't think twice about offering the Bentley for sale to help fulfil Emad's dream. Maman took the profits from the car's sale and purchased 100 bicycles to be delivered to refugee children during a special Yazidi Eid celebration this coming Friday. Maman said it was important to fulfil Emad's wish to encourage him to continue helping others and to show how he can achieve anything. As Emad and his cousins, dreaming of warm spring days, pretend to ride a bicycle in the apartment, Hesso smiles and says the bikes will mean everything to the children. "The Yazidi community, we are not going to forget that."